Android smartwatches are not in a good place right now. 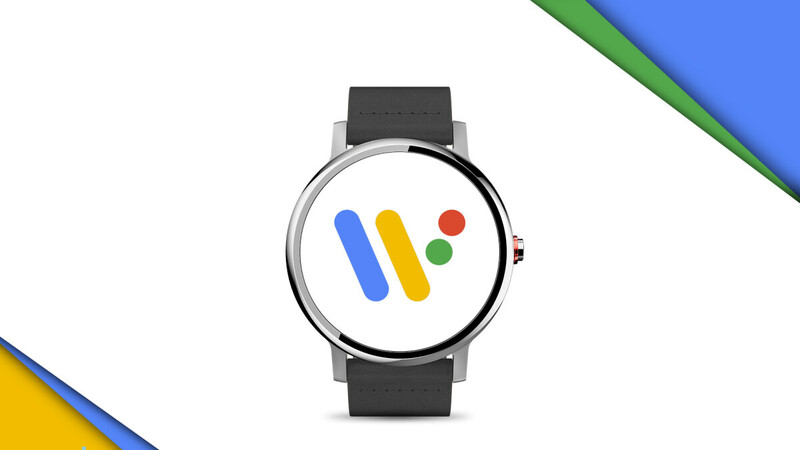 Due to fizzling popularity and dwindling sales, Google earlier this year made the decision to rebrand Android Wear as Wear OS, in hopes that this would help the company turn a new page with a more refined and competitive wearable operating system. The rebranding was a necessary move, considering that every third Android smartwatch was being paired with an iPhone, and reflects a broader trend at Google of removing the Android moniker from cross-platform services. But rebranding a product is one thing. Reinventing it is something else entirely. Google has both the ambitions, the financial muscle, and the backing of leading fashion and tech brands to achieve this. The one thing holding it back right now? The very foundation of Wear OS smartwatches – the technology inside. But with a new Qualcomm system-on-a-chip coming out this year, specifically designed for use in wearables, and not a scaled down version of a mobile SoC, it seems like Google may be able to launch a product — or maybe even three — that could reinvigorate interest in Android smartwatches. So, let's see what's in store. There have been rumors floating around for months that Google is working not on one, but on three Pixel-branded smartwatches, slated for release well before the 2018 holiday season. Codenamed 'Ling', 'Triton' and 'Sardine' in typical Google fashion, these are either three different watches, a single model in three different sizes, or possibly three versions of the same (similarly to how Samsung and Apple have Bluetooth-only versions of their smartwatches). It's too early to say, but taking into account other rumors that claim a number of Google partners — panning prominent fashion brands and tech companies — are also working on Wear OS watches that will launch this fall, chances that Google is planning to release three watches on its own are rather slim. We are most likely looking either at different sizes, or different versions of the same smartwatch. We still don't know which company Google is going to pick to actually build the Pixel watches. It's a safe bet that they will be designed in-house, but the actual manufacturing will be outsourced to a Google partner. This has been the case with Pixel phones as well (and Nexus devices before them), which were made by HTC and more recently LG. Whatever the case may be, we're hoping to see some uniquely-designed timepieces from Google this year. One of the things Google likely wants to showcase with the Pixel watch(es) is not that it can design hardware in-house (that's already been proven), but that the new and revamped Wear OS is a worthy competitor to watchOS and Tizen. And what better place to do it than on in-house developed hardware and Google Assistant at the forefront? At this year's I/O, Google outlined a number of features that will be making their way to Wear OS in the months following the conference, with improved Google Assistant integration front and center during the announcement. This is especially important for Google, which has been expanding its virtual assistant across multiple platforms and improving its functionality with regular updates. When it comes to smartwatches, with their limited screen real estate and input options, controlling Google Assistant with your voice — be it through paired earphones or a microphone on the watch — could help considerably improve the user experience. Of course, just talking to your watch doesn't cut it, and that's why Google is striving to make Assistant on Wear OS as smart and as thorough in its answers as possible. The less time you spend swiping at a 1-inch screen and asking questions – the better. For example, if you ask about the weather, you're not only going to get the current forecast, but also for several days ahead. 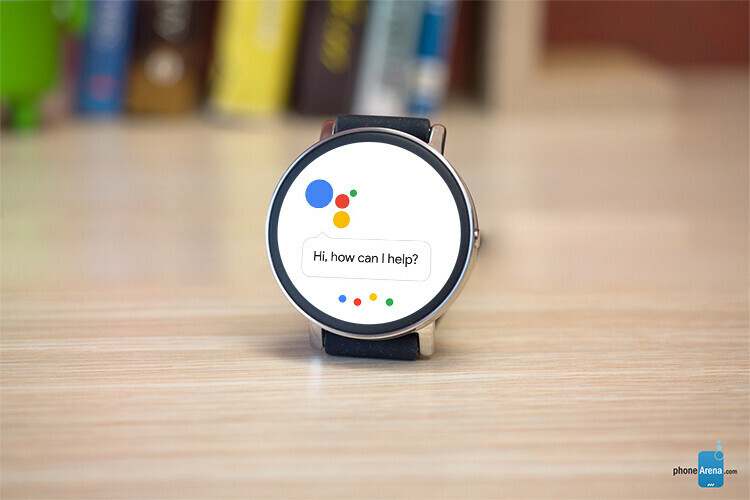 What's more, Google Assistant is also getting a voice on Wear OS, so you won't even have to look at the screen to get answers to certain queries. If your smartwatch has a built-in speaker, or you have Bluetooth earphones paired to it, you'll just be able to ask your question and get an answer through your earphones. Health and fitness tracking are some of the most important features in wearables, and with Apple and Samsung planning to expand the functionality of their upcoming smartwatches, Google would be wise to make the Pixel watch capable when it comes to measuring your pulse, or even possibly blood pressure. The Samsung Galaxy S9 and S9+ recently proved that a smartphone could be used to measure blood pressure correctly, so we wouldn't be surprised if the upcoming Samsung Gear S4 (a.k.a Galaxy Watch) could do this as well. Qualcom is working on a brand new smartwatch system-on-a-chip that could put Android smartwatches back on the map. The new SoC is "designed from the ground up for a no-compromises smartwatch experience with dedicated chips that make your watch look pretty when you're not looking at it, that brings the best fitness and watch experience, and extends battery life," according to Qualcomm. The new chip will be revealed this fall, alongside a flagship smartwatch to show off its improved capabilities. "Several partners” are reportedly set to release Wear OS devices packing the new chip by the holiday season. Up until Qualcomm introduced the Snapdragon Wear 2100 in 2016—which is still being used today—Android smartwatches were powered by a modified Snapdragon 400 smartphone chip. It wasn't good, and although the 2100 changed things for the better, it is very much in need of a replacement. All variants of the Pixel watch will be powered by the new Snapdragon Wear 3100 chip, which uses an ARM Cortex A7 architecture and has an Adreno 304 GPU. Although we don't know anything about clock speeds yet, Qualcomm's new silicon is said to not only be more powerful than previous iterations, but considerably more energy-efficient as well. Battery life has never been the strongest suit of Android Wear watches in the past, but this could change with the Snapdragon Wear 3100. Of course, battery life depends on many other factors as well, but with a more energy-efficient chip inside and better optimized software, the Pixel watches could boast enviable battery life. 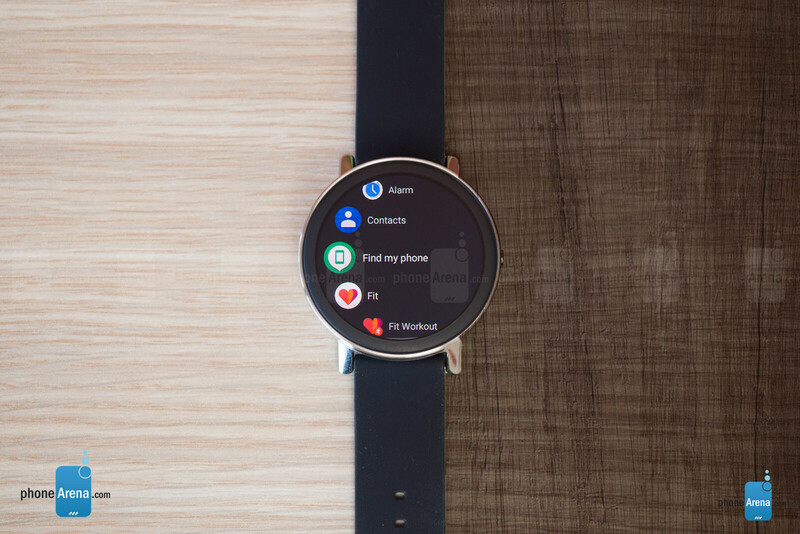 Aside from the new processor, Wear OS will enjoy some new software features in the coming months, including deeper and better Googe Assistant integration. Google still has the chance to regain some footing in the ever-tightening wearables market, but it's going to need a strong, new foundation – both hardware- and software-wise. There is no rumored release date for the Pixel watch yet, but if we were to venture an educated guess, we'd say October is a likely release window, as the Pixel 3 and Pixel 3 XL are expected to be unveiled and released that month as well. As for the price – it's anyone's guess at this point. If the Pixel phones are anything to go by, Google may aim for a slightly higher price tag with the Pixel watch, depending on how "premium" they are. On the other hand, seeing as how the competition from Apple and Samsung is going strong, Google may price the Pixel watch lower and try to gain a foothold in the wearables market this way. We'll keep you updated as more information about the Pixel watch surfaces. All in all, 2018 is shaping up as a very interesting year for smartwatches. With the Gear S4 (or Galaxy Watch, or whatever) and the Apple Watch Series 4 looming large on the horizon, and with a slew of Wear OS watches coming before the holiday season, the competition (and consequently the choice for users) should be fiercer than ever. Are you excited for the Google Pixel watch and Wear OS in general? Tell us in the comments below! If Google can get their project Soli working and into a production smart watch. Then I am on board. I would love to see that mini radar unit use in air finger gestures to control the watch. You could even eliminate the physical scroll wheel on the side of the watch. Therefore making it more water proof. Along with not even touching the watch face to perform actions on the watch. Just give us sleep tracking & slimmer smartwatches. All the 2017 watches are so thick compared to my huawei w1. Better interface for WearOS, it's still horrible. I wonder what's the profit margin on a smart watch. All I want is a decent big fitness tracker. Think Mi band 3 but I. A regular watch body that looks normal.